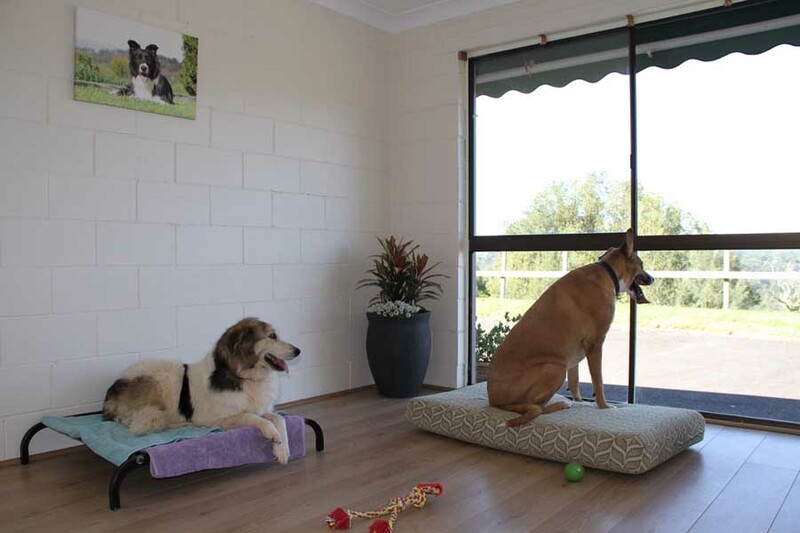 Midtown Pet Centre is an acclaimed Pet Resort on the Gold Coast, nestled within the lush surrounds of the marvellous Tallebudgera Valley, our luxury estate is easily accessible for all pet owners. Our spacious dog boarding kennelsprovide ample room for all our canine guests, while our cattery offers premium accommodation for our feline friends, with both indoor and patio cattery suite options available. Family owned and operated since the 1970’s, the facility is home to warm and caring staff who ensure that your pets all have a fabulous time at our pet resort on the Gold Coast. We offer a full range of premium pet services at very competitive prices. Be sure to view the virtual tour video of our luxury Gold Coast pet hotel. Premium day care services are offered at our pet resort on the Gold Coast, each and every day of the week. Your pets will enjoy unrestricted access to the magnificent surrounds of our idyllic estate, as well as our full range of premium pet care services. All boarding kennels at our pristine property are fully climate controlled, guaranteeing that all dogs enjoy pleasant temperatures all year round. 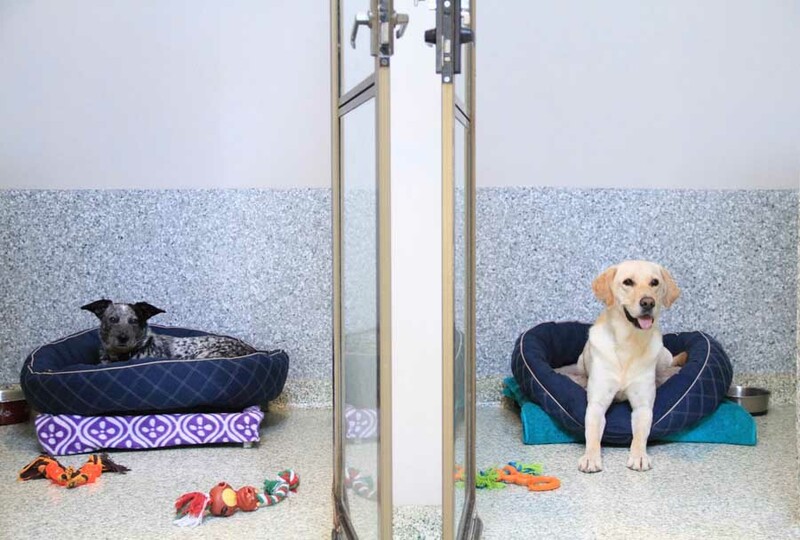 Each dog kennel contains two water bowls and immaculately clean and comfortable bedding. We have a vet on call 24/7, provide free unrestricted playtime, medical administering and more. 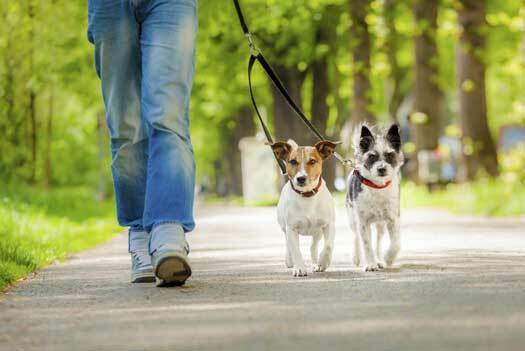 The friendly team at Midtown Pet Centre stop at nothing to ensure that your pets receive the ultimate leisurely stay. If you have a particularly social dog that revels in the company of others, we have a special buddy program available for them. 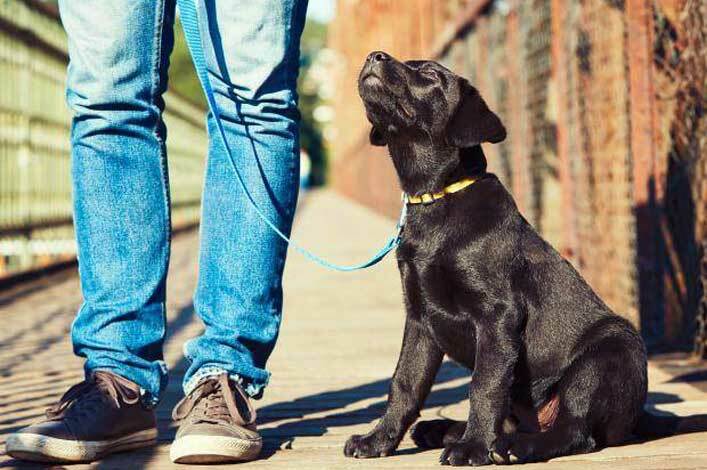 If your pet is more independent and prefers a quieter setting, away from the others, they will still get plenty of exercise and enjoyment out of their playtime and through their relaxing walks with their attentive carer. Regardless of your dog’s temperament, there’s an endless abundance of wide open spaces for them to enjoy at our pet resort on the Gold Coast. All cats that stay at our extravagant pet centre are quite simply the envy of the animal kingdom. With first class facilities and services, along with adoring staff that cater to their every whim, your cat’s experience at our purpose built cattery will be second to none. The cattery suites come in two varieties; indoor and patio. The indoor suites are better suited to cats that typically spend most of their time inside the house and offer a truly calm and harmonious setting for them. Our patio suites on the other hand, have been made for the Indiana Jones of the feline world. Always seeking the thrill of adventure and conquest, the patio suites have all the creature comforts of the indoor but with the addition of a charming patio area that allows the cats to soak up the glorious rays of the Tallebudgera Valley. All cats that stay at our palatial feline retreat, receive free home cooked meals, optional free climate control, free medicinal administering and of course, vet on call 24/7. Just like you, we’re all pet lovers here at Midtown Pet Centre. Our pets mean the world to us and we only ever want the very best for them. For a truly grand pet accommodation experience like no other, contact the team at Midtown Pet Centre today, the premier pet resort on the Gold Coast. Dogs are renowned for their unconditional love and loyalty and our friendly staff ensure that each and every canine guest receives the warmth and tenderness that they deserve. 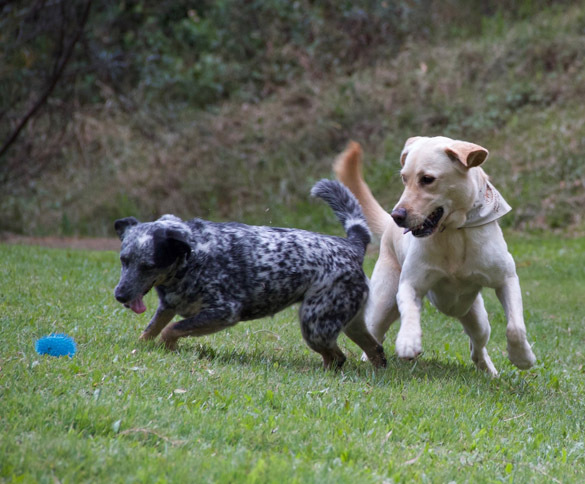 We understand that all dogs have unique traits and tendencies; some are wildly energetic, always eager to go for a walk, fetch a ball or simply frolic about, while others prefer a more laid-back pace, instead preferring to soak up the magnificent surrounds of our gorgeous hinterland estate. Similarly, all cats that board at our luxury Gold Coast pet resort are guaranteed to have a wonderful time with us. Whether they’re here for just a day or overnight stay, or perhaps a slightly longer term, our pet carers will ensure that they’re kept entertained and well looked after throughout their stay. 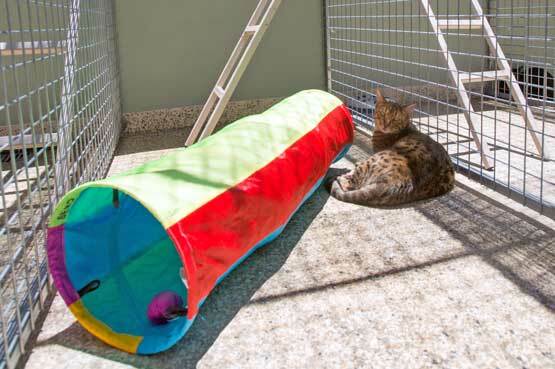 For the more independent feline guests that prefer to be left alone, they’ll have plenty of things to keep themselves amused with, in our luxury cattery suites. If your cat enjoys the company of others, our staff will only be too happy to lavish them with all the cuddles they can handle. Whether your loved ones are enjoying a quiet nap in the cosy surrounds of their boarding kennels or comfy catteries, or familiarising themselves with the idyllic outdoor scenery, we’ve invested heavily in security to ensure that all pets are kept safe and secure at all times. Additionally, all guests are under the constant supervision of our highly trained carers whenever they are outside. All mature guests typically require a greater level of specialised care from our staff, and sometimes even veterinary attention. 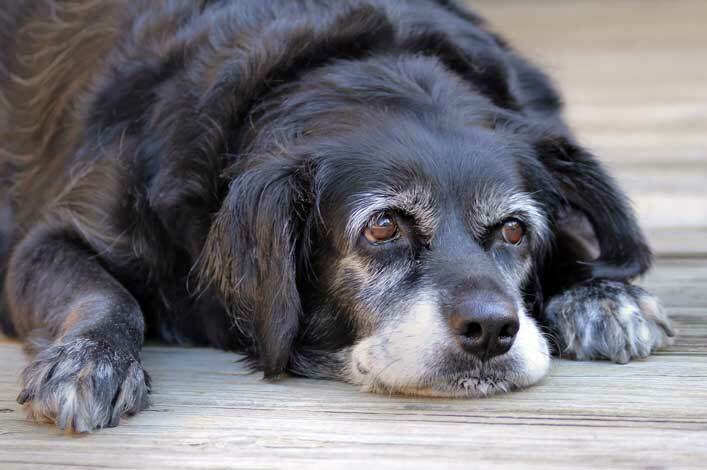 It is for this reason that we strongly encourage all owners of older cats or dogs to have them examined by a vet before making the decision to leave them at our boarding facility. For a thorough overview please visit our FAQ section’. Professional dog training is vitally important for dogs as it teaches them how to behave correctly in all social environments. We offer a range of personalised training programs that ensure your dog conquers any behavioural issues they may be having and transforms them into the good-natured, well-rounded and obedient pet that you’ve always wanted them to be. All dogs are treated like royalty at our dog grooming salon and we provide a full selection of premium services, including clipping, grooming, bathing/hydrobathing, as well as tick and flea treatments. For more info, visit our Dog Grooming page. In the event that you are unable to drop off or collect your pets from our facility, we offer a chauffeured transport service starting from just $33.00. Visitors are most welcome to drop by and inspect our facility. To view our visitor times, as well as check-in and departure times, please visit our contact page.